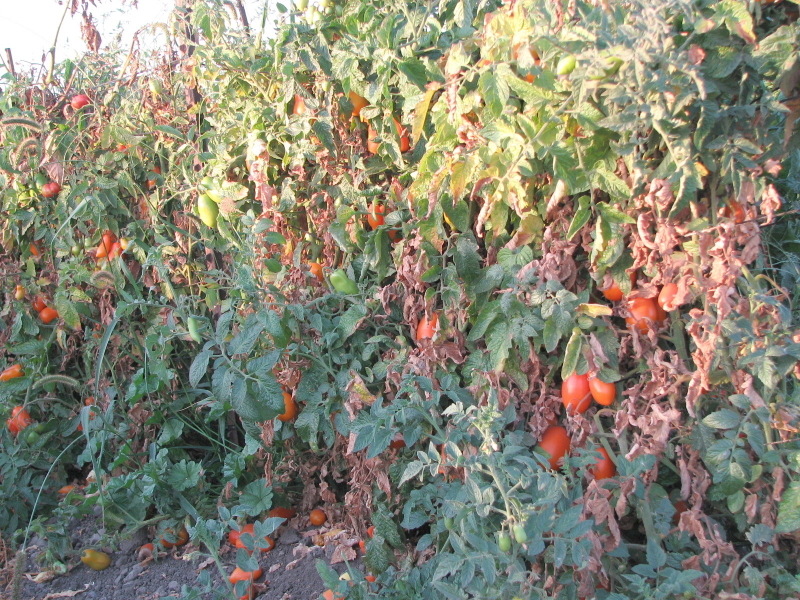 The first planting of tomatoes decline. Walking slowly around the farm, it’s obvious that summer’s bounty is beginning to decline. We’re selling a lot of tomatoes, melons and cucumbers this year through various marketing paths. It’s great to see all this vibrant food moving into the community. Our farm stand has been a wonderful addition. We anticipate staying open until either the weather or lack of product, forces us to close. Thank you all for folding us into your Saturday routine. 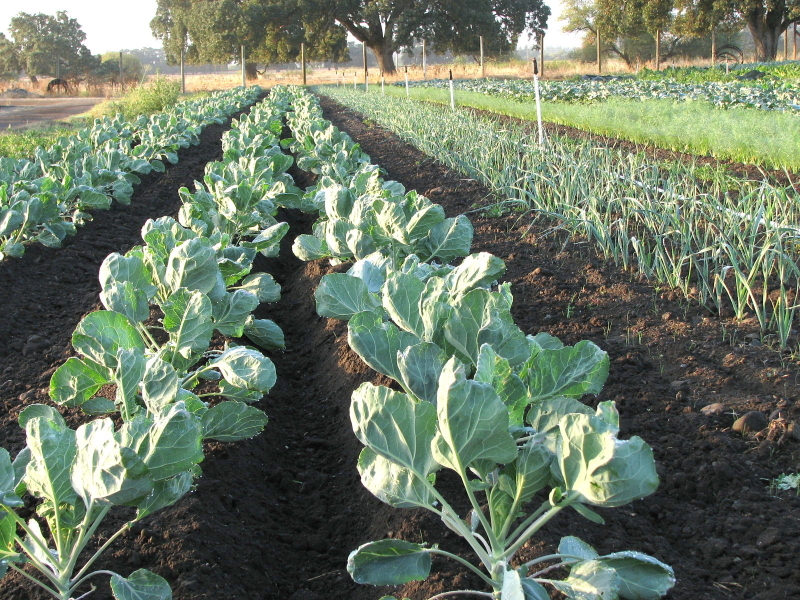 Brussels sprouts are beautiful plants that grow for a long time. Planted in the greenhouse in June, in the field in August, but not ready to harvest for another 45-50 days! That’s a lot of weeding! The transition from summer’s full heavy crops to the more intense, longer-in-the-ground, cooler-season foods, is happening. 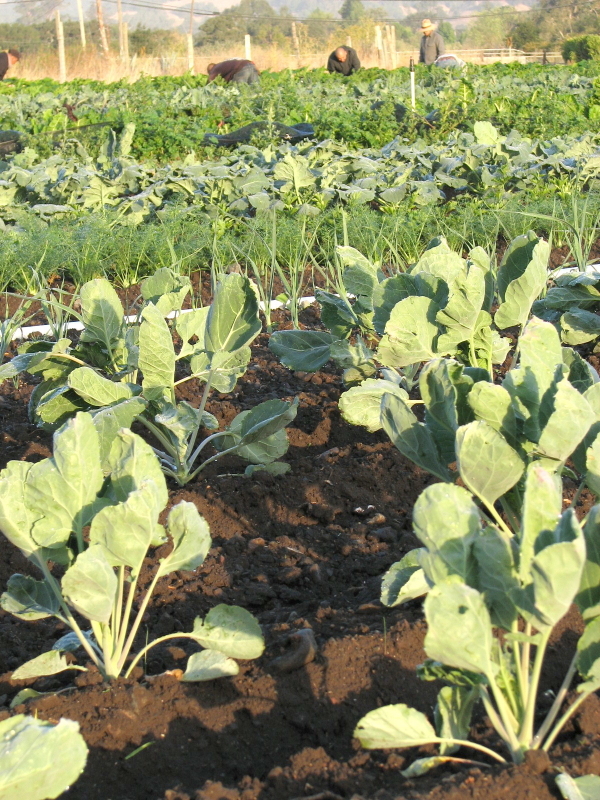 Kales and cabbages, beautiful brussels sprouts and feathery fennel and asparagus, are all looking very fresh and new. This is the time of year things move around in the shops and storage areas to make room for winter squash, onions and shallots. Additionally this year, Paul is renovating some of his growing fields to make things easier next year. 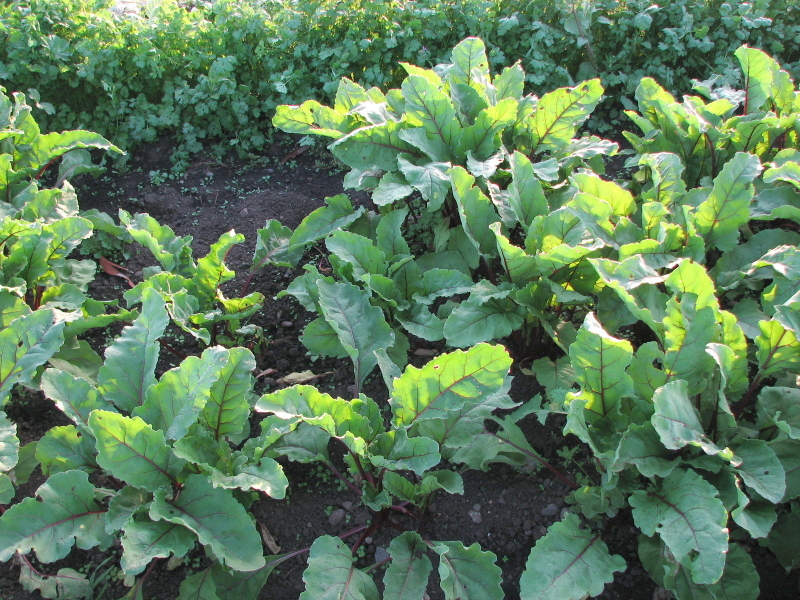 Beet greens look wonderful right now. 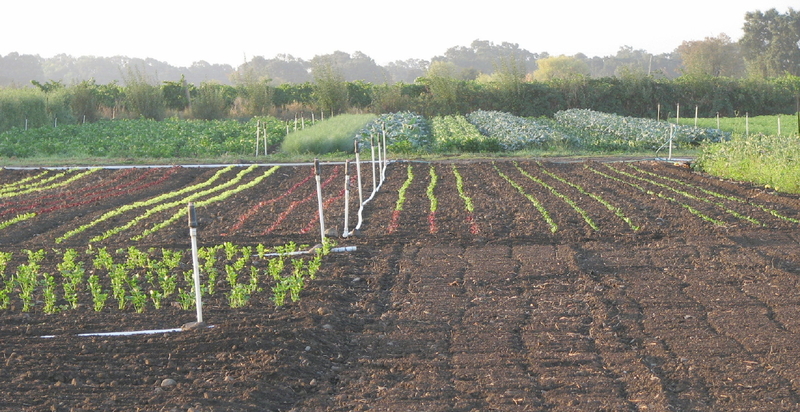 Lettuce stripes, with brassicas, celery and fennel behind. 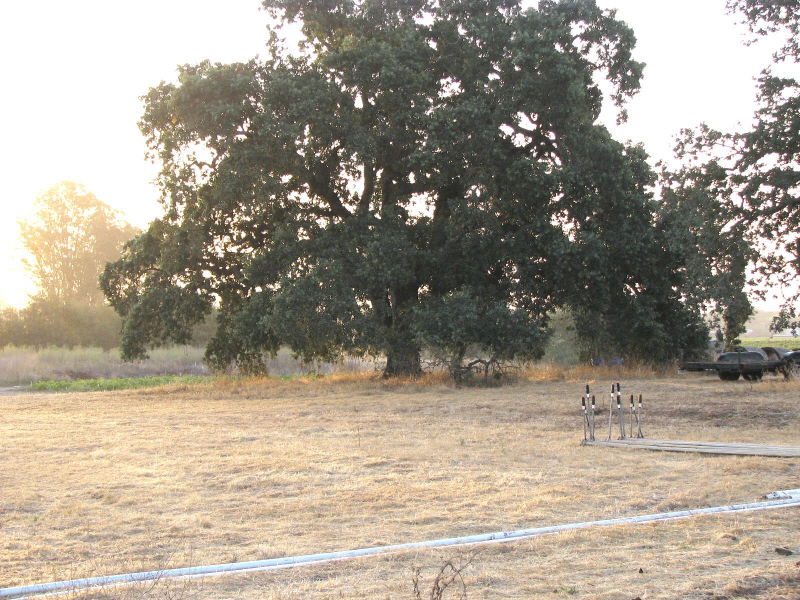 This beautiful oak on the edge of the new field. This entry was posted on Friday, September 21st, 2012 at 6:24 am	and tagged with beets, broccoli, brussel sprouts, carrots, Crops, Tomatoes and posted in Uncategorized. You can follow any responses to this entry through the RSS 2.0 feed. Your fields really look great. We haven’t heard from you about the Fall/winter CSA. We sure hope that’s still happening and definitely want to be on the list for that. Yes, we’re on with the CSA starting November 7th – end of April. I’ll send you an e-mail with the sign-up sheet or see the link on the CSA tab on this blog. I’ll add you to the CSA e-mail list. Wonder why you weren’t there already? Come by the new Farm Stand. It’s a hit!